Service That’s as Dependable as Your Mazda – And Every Bit as Enjoyable, Too! and Air conditioning Cabin Air Filter. Maximize the life of your tires! Our wheel alignment machine is the latest and greatest, most accurate machine available. Air conditioning TUNE UP $69.95! Air conditioning system refresh, tops off your refrigerant, and adds fresh oil to your compressor! Daytona Mazda service center staff is dedicated to one thing above all else: the health and well-being of your vehicle and you along with it. All of our team members are passionate, professional and courteous – we go out of our way to make sure that every visit to our state-of-the-art facility is as convenient and as quick as you deserve. 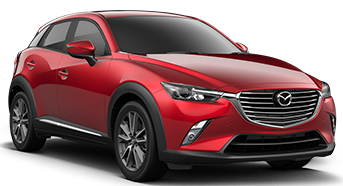 With us, you get the security of the Mazda promise AND the neighborly care of a local car repair shop rolled into one. Don’t like phone calls? No problem! We can easily send you a text when your vehicle is done, or if we happen to find any problems you need to know about. You can also always pay for your services by phone, tablet or laptop – the choice is yours!